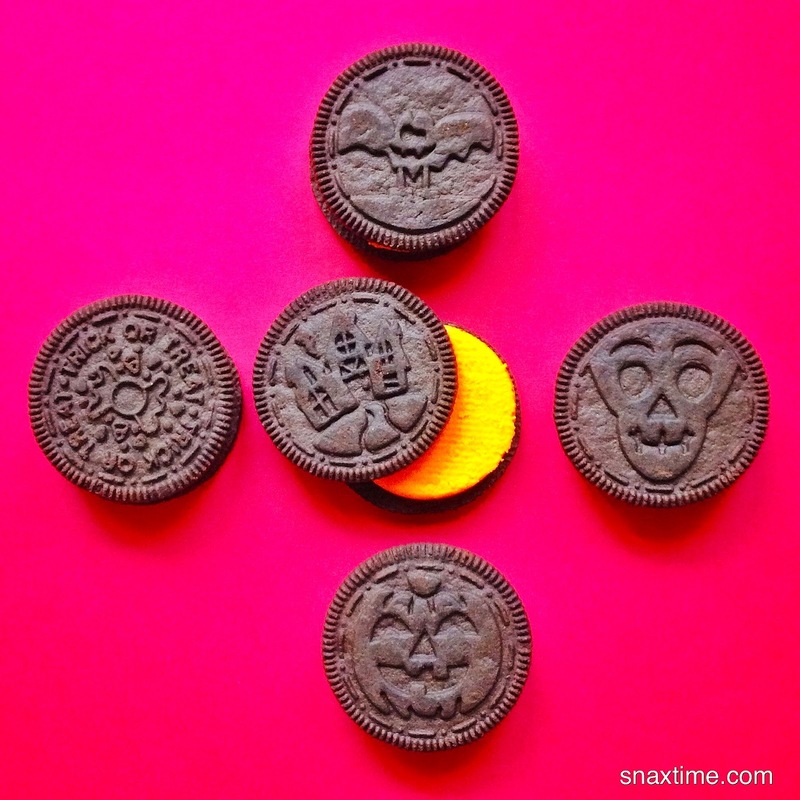 It's Snaxtime's favorite time of year and Nabisco is doing Halloween right with their beautifully designed Halloween Oreo. Over the past few years, Oreo has released a number of new and creative flavors so it's refreshing to see them keep their original Oreo flavor formula when making these spooky cookies. Each bag contains 5 different Halloween vintage-inspired patterns and we are just in awe of how brilliant and visually stunning the designs are. The creme filling has Oreo's signature vanilla taste, but is a vibrant Halloween orange that looks spectacular sandwiched between the black cookies. The overall effect is a ghostly cookie that looks and tastes like an instant classic. 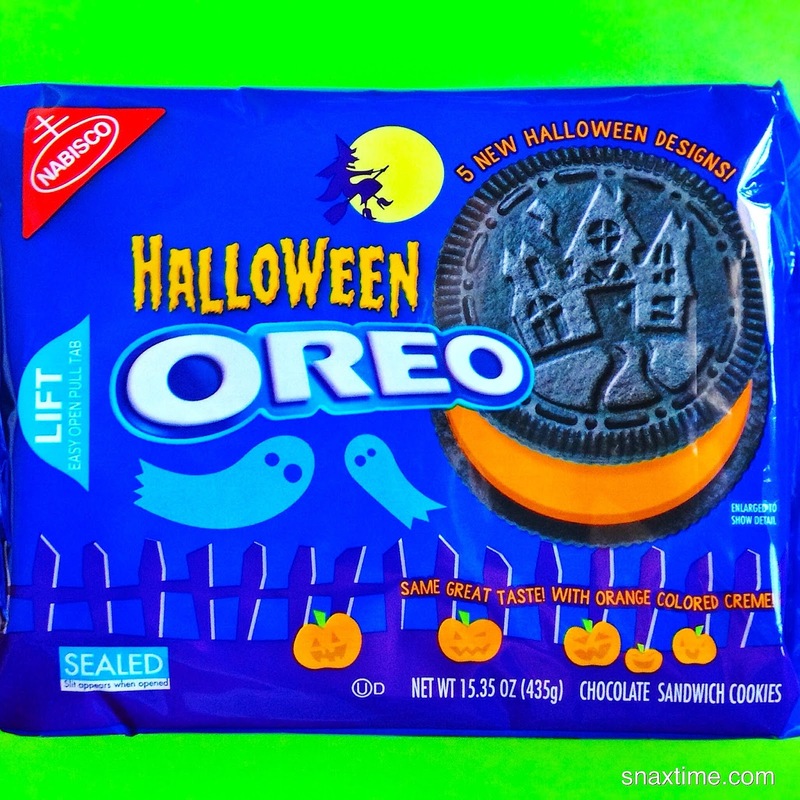 We hope Nabisco releases these fine, festive and simple Halloween Oreo every year!